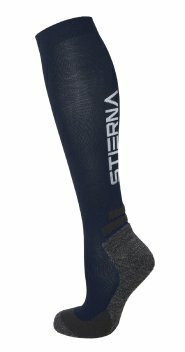 Warm winter socks with a high performance fit. Warm winter socks with a high performance fit. The materials are carefully chosen and combined to provide warmth, moisture transportation and durability to keep your feet warm and dry to stand long cold hours in the stable doing what you love the most.